Double edge 83x4mm 304 AISI stainless steel blade with wire cutter and shackle key. 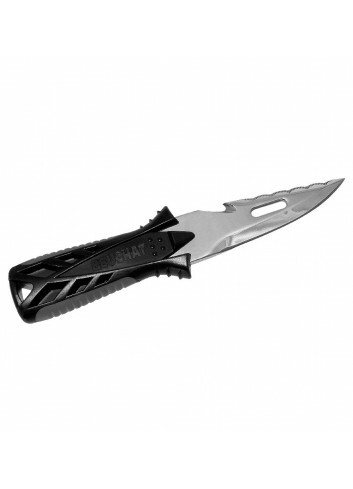 Sheath with double lock: shaft with soft grip and protective guard. Delivered with attachment kits for a stabilizer jacket and inflator hose.